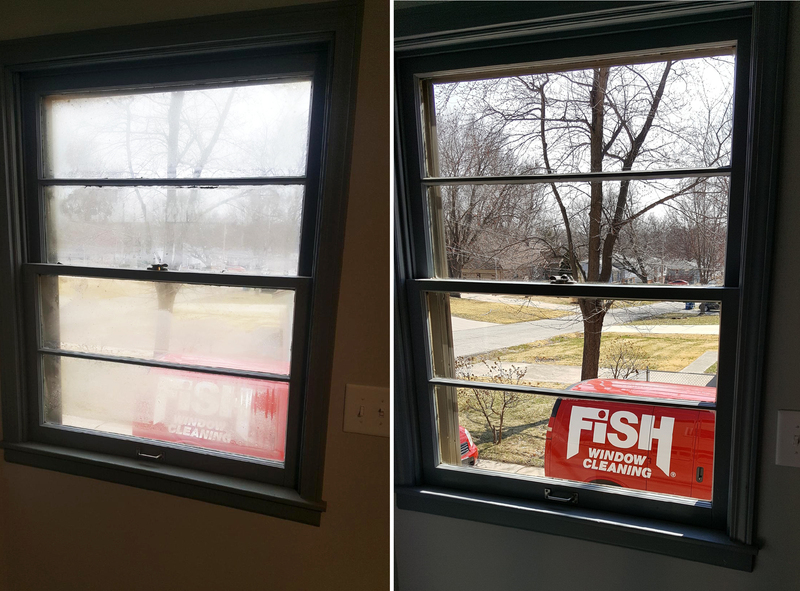 Welcome to Fish Window Cleaning Independence MO! We are your local window cleaning company serving homes and businesses in Independence, Grandview, Raytown, Kansas City, Martin City, and Sugar Creek, MO. professional window cleaning can make. Our team of trained, uniformed experts will save you time by cleaning all of your windows inside and out quickly and quietly. When you choose FISH, you're choosing to work with true professionals. We are reliable, we're bonded and insured for your protection, and we are committed to your satisfaction. We help maintain the appearance of homes and businesses all year long! We know you're busy and window cleaning is probably not at the top of your to-do list. Let us help check some chores off that list! You can trust our team to clean your home quickly and quietly while respecting your belongings. We provide the highest quality service and are committed to your satisfaction. We'll even make sure you're completely satisfied with our work before we leave your home. Our professional team is friendly, uniformed, and ready to help make your home beautiful! Giving your customers a great first impression with sparkling clean windows is important. We can help maintain your storefront or commercial building all year long! Our customizable cleaning programs will be tailored to meet your needs, budget, and schedule. We'll make your windows sparkle, wipe down your sills, and remove any cobwebs. We can also clean chandeliers, mirrors, and more! Our reliable team is bonded and insured, making your decision to choose FISH an easy one. Click here to more information about our services for your business.